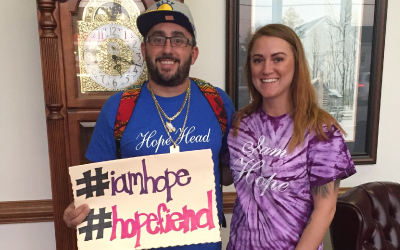 After fighting a long battle with addiction, through the help of others, Kernersville resident Brad Iddings helps others through his slogan, #Iamhope. Iddings explained that having moved around throughout his childhood, he used drugs to fit in with people. “I went to 11 different schools in 10 years because my parents were moving around to make ends meet,” he said. Iddings said he had been using for 12 years before he became clean. He said he overcame addiction once in 2006 from the use of cocaine, but relapsed in 2010 with pain pills. Iddings said he has now been clean for over six years. He explained that he was forced to detox from the pain pills after he was incarcerated for 13 months in June 2010 on drug related charges. When Iddings was released from jail, he said he lived with a friend in recovery. Iddings explained that he also joined Narcotics Anonymous, which is held at Kernersville Moravian Church on Wednesday nights at 7:30 p.m. and later moved into an Oxford House, which he said is a recovery house where recovering addicts can live for $100 a month as long as they don’t use drugs. 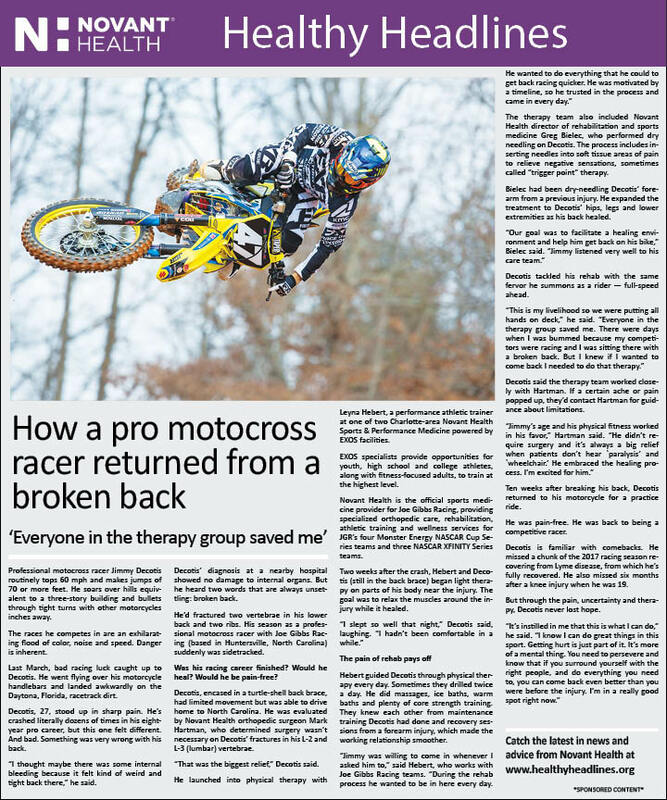 “I had the resources to go into recovery and surrounded myself with people who could help me keep on track,” he said. Iddings said his love for service started during his time living in the Oxford House. Following getting clean, Iddings said he worked in construction for about four months until he was given the opportunity to buy a transportation business from a friend, where he drives a minivan seven days a week to deliver truck parts in VA and NC. During many of his deliveries, Iddings said he would see homeless people holding signs on exit ramps. Iddings explained that he and his fiancé, Catherine Smith, also started attending Shady Grove Wesleyan Church in Colfax. Shortly after joining, Iddings said the church began passing out hygiene packs. “I would take them and put them in my car to hand out,” he said. On one delivery, Iddings said he met a guy in Gibsonville. At that point, Iddings said he sparked #Iamhope. “I went and bought 20 t-shirts, which I sold before I received them. Then I used that money to buy 50 more t-shirts,” he said, adding that doing that has continued to fund helping people in need. With the money he raised from t-shirt sales, Iddings said in 2015, he and 13 of his friends were able to feed 58 homeless people in Greensboro for Thanksgiving by driving around to different locations. In 2016, Iddings said they also started collecting hygiene items, and had collected about 22,000 – 23,000 hygiene items and food by April 2016. For Thanksgiving 2016, Iddings and his friends went to Elementary School Academy (ESA) in Winston-Salem, a small title one school, and fed both the students and the faculty. This past Thanksgiving, Iddings said they were able to feed 49 children at ESA. 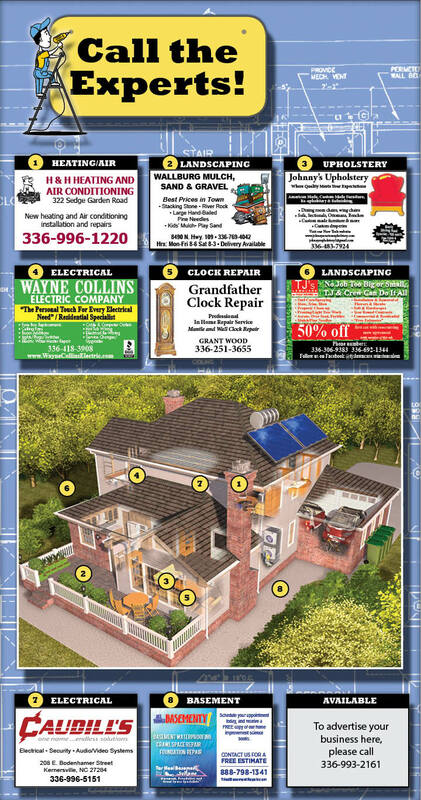 Along with all that he has done so far to give back to others, Iddings continues to come up with more ideas. He decided to have Haircuts for the Homeless at the Interactive Resource Center in Greensboro with the help of certified barbers. During the event, they also passed out hygiene items. Iddings said helping others is just one way he can give back to others and give people hope that there is something better out there. Iddings also enjoys giving back because there were so many people who were there for him when he was in need and coming clean. “I give back because there were so many people that helped me, such as putting a roof over my head when I was homeless, which was almost for a month the last time,” he said. #Iamhope t-shirts are $20. If interested in purchasing a t-shirt, sticker, hoodie or hat or making a donation for #Iamhope, contact Iddings at 336-420-5950.